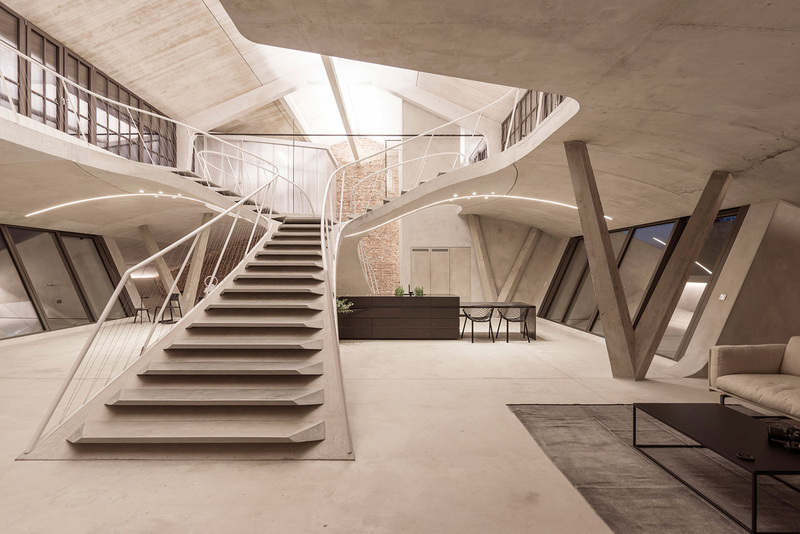 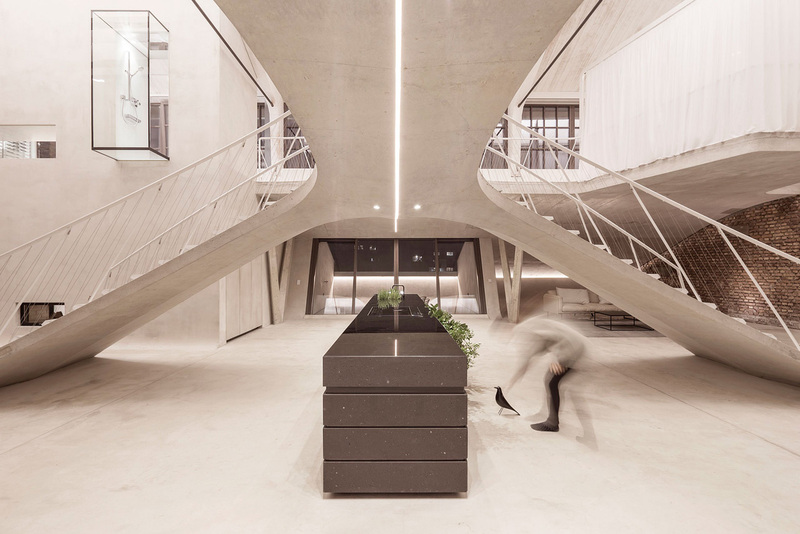 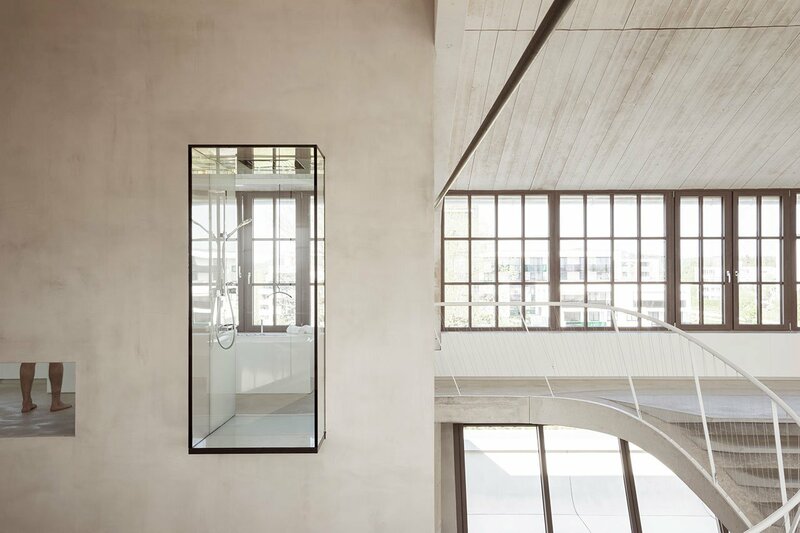 Expansive and futuristic, Loft Panzerhalle designed by Vienna-based architectural studio Smartvoll nevertheless manages to embrace its industrial heritage. 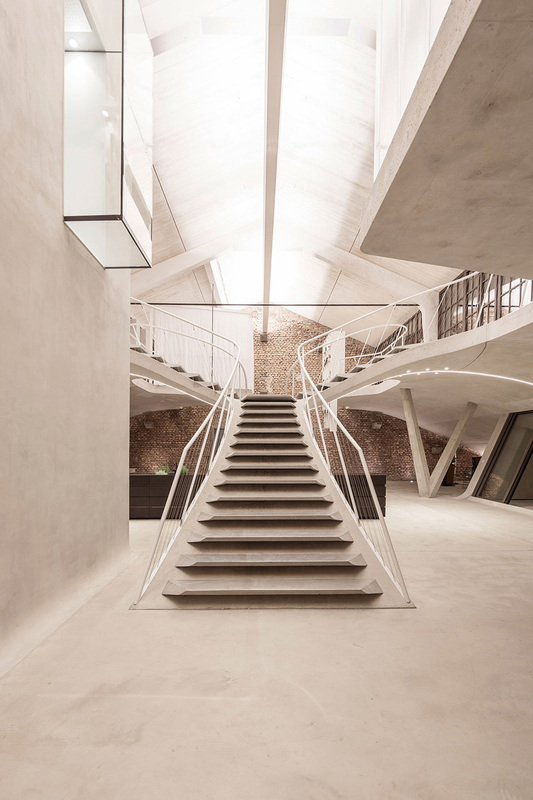 Built in the 1930s as an army barracks and tank station, the 200-metre-long Panzerhalle in the western district of Maxglan in Salzburg, Austria, was transformed in 2013 from a brick shed into a multi-purpose venue comprising a large market hall, a restaurant, a spa facility, and co-working spaces, as well as a handful of extraordinary lofts such as this one. 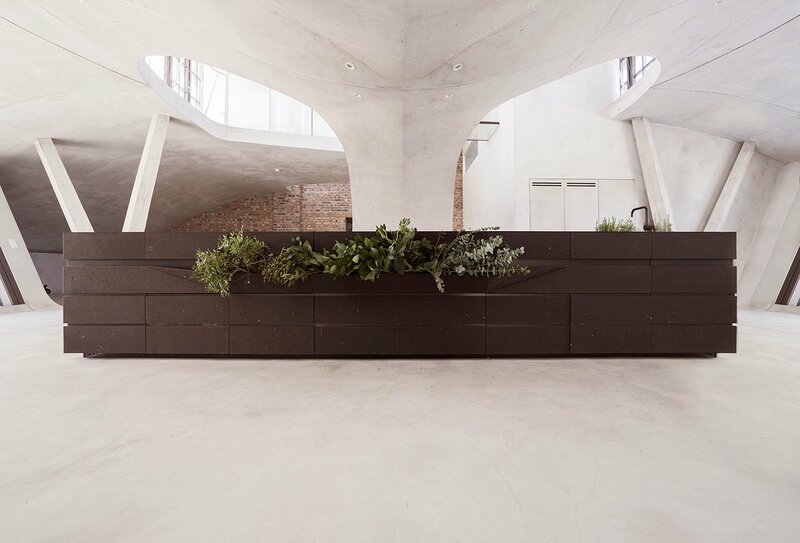 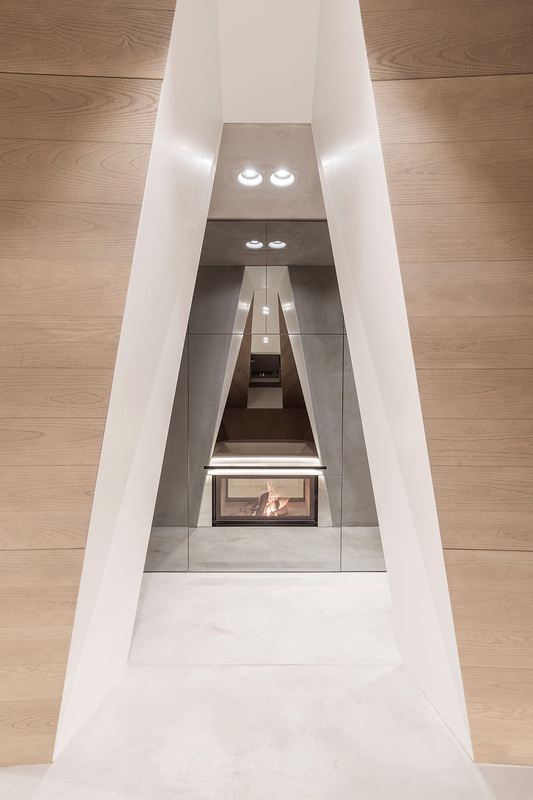 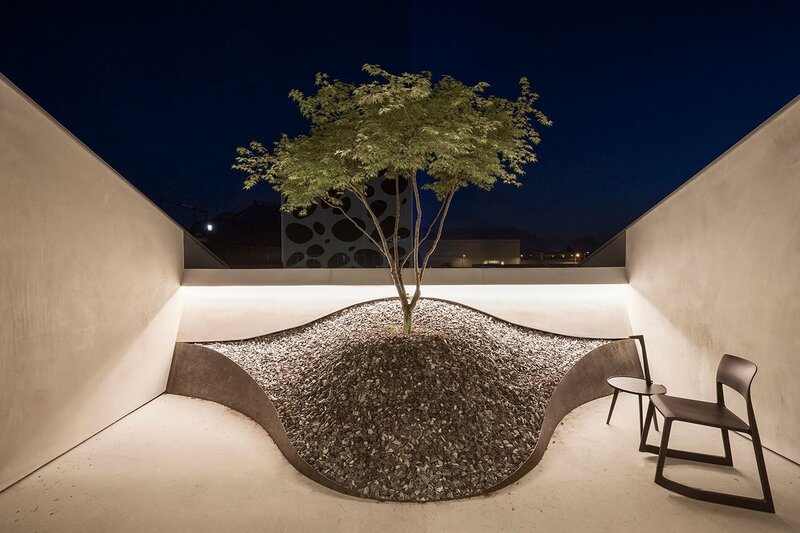 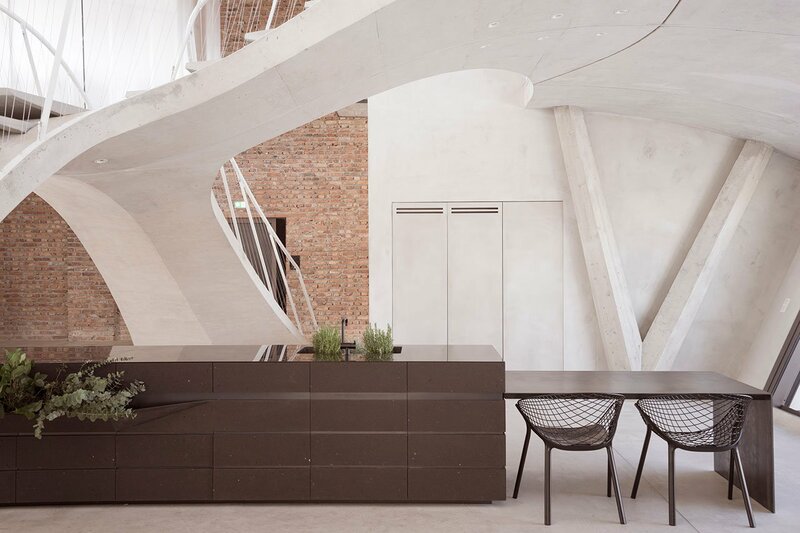 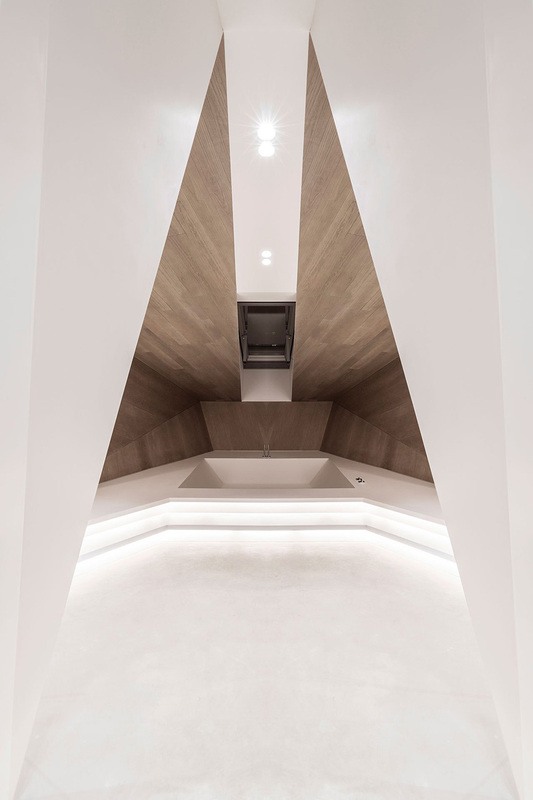 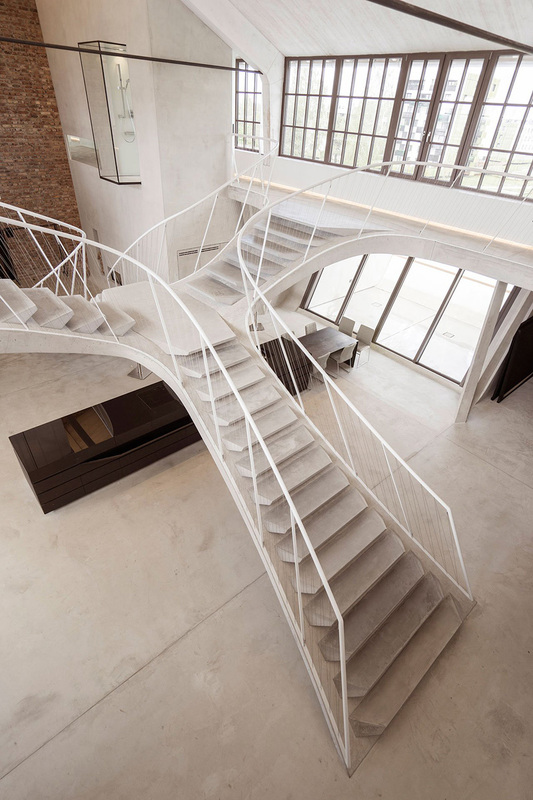 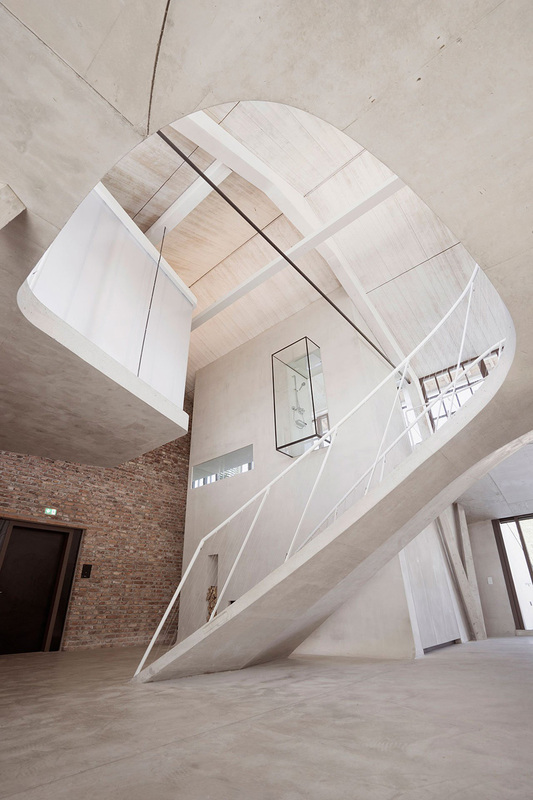 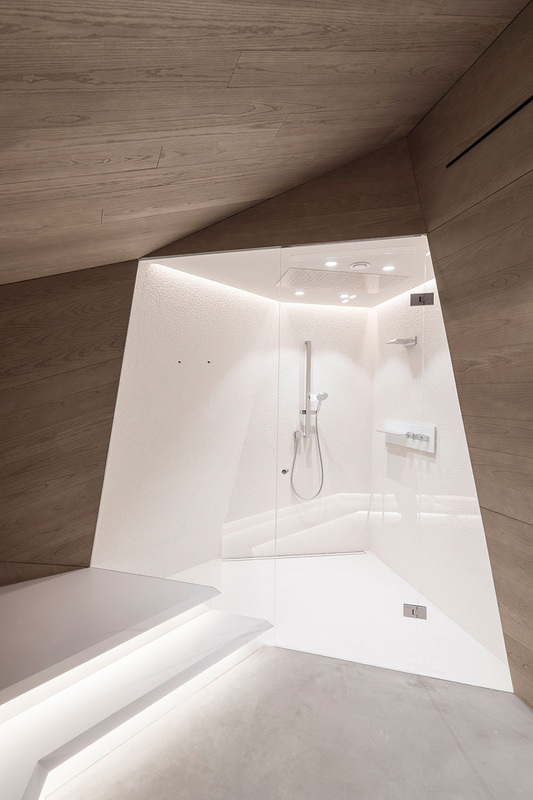 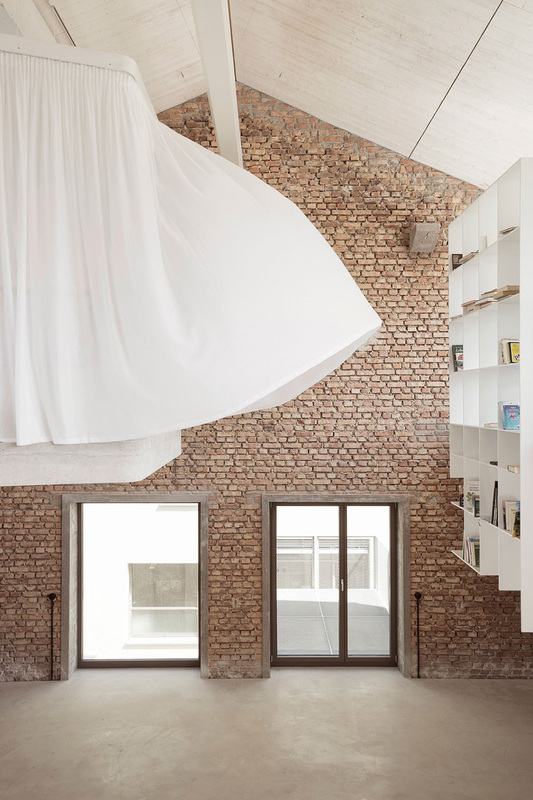 The 350-square-metre residence, which Smartvoll won an international competition to renovate, unfolds as a single spatial experience of sculptural boldness, minimalist elegance and luxurious comfort, crucially without completely effacing the building’s history. 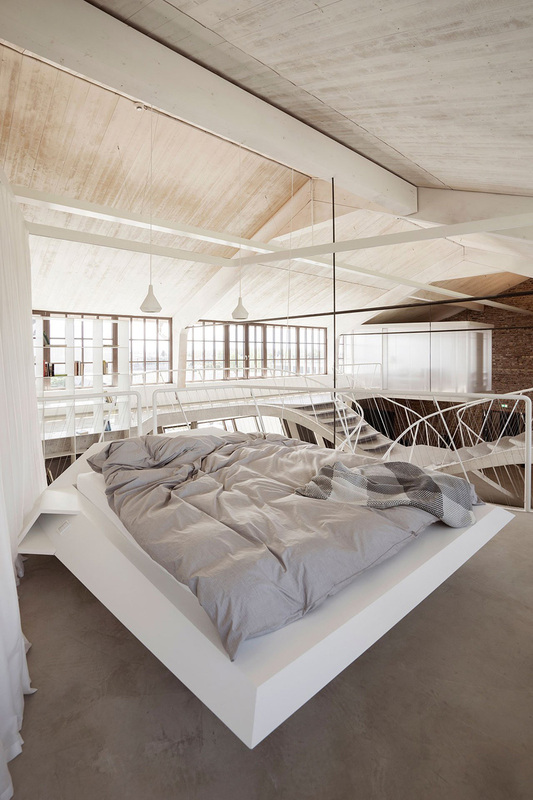 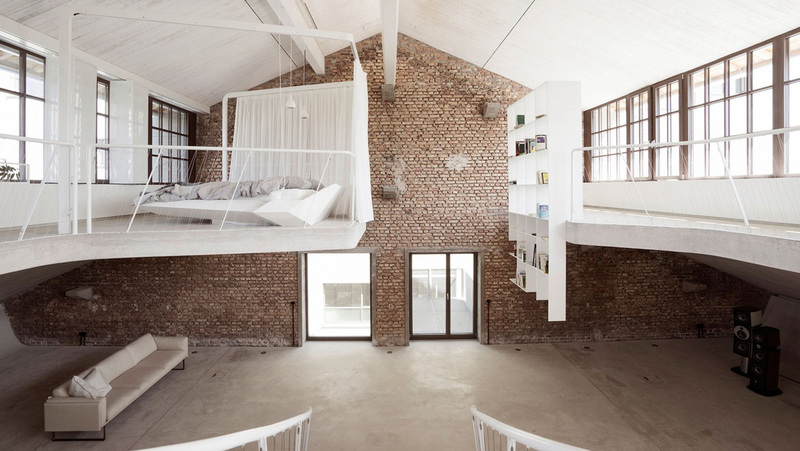 Enjoy the photos and don’t forget to check Industrial Modern Rustic Loft Interior in Chicago.